Steven Kasher Gallery is pleased to exhibit Christopher Thomas: Venice in Solitude. The exhibition presents a selection of large-scale black and white photographs of Venice by the Munich-based photographer Christopher Thomas. 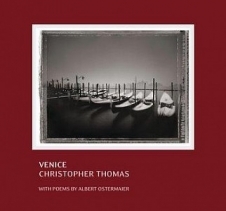 The exhibition is accompanied by the publication Christopher Thomas: Venice in Solitude (Prestel, 2012). In these hauntingly beautiful photographs, Thomas takes us on a solitary tour of the city known as “The Most Serene Republic.” Viewers can almost feel the ghosts of Titian and Vivaldi, of Henry James and Thomas Mann wandering the canals and cobblestones. We experience the city as an ingenious and luminous oasis of majesty and calm. This is our second solo exhibition of the artist’s work. 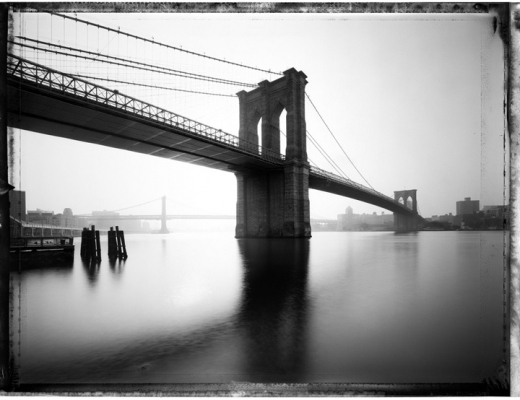 As in the case of his previous exhibition and publication, New York Sleeps Thomas presents photographs taken with a large-format camera and a no-longer-manufactured Polaroid negative film. These enable his prints to achieve a degree of detail and tonal nuance rarely found in contemporary black and white photography. Again, as he did in New York, Thomas shoots at dawn, when no other people are on the scene. It is if, at this moment when night borders day, he could uncover the essence of the city, erasing the profane and quotidian in favor of the eternal or timeless. Included are classic views of the palaces along the Grand Canal, the Doge’s Palace, the Piazza San Marco, the Rialto Bridge and many other monuments. Thomas also strayed from well-known paths to photograph areas of the city which are not part of our collective memories of Venice: abandoned canals and workshops in Cannaregio, the narrow streets in Castello decked with washing-lines and the Gondola shipyard of San Trovaso in Dorsoduro. Christopher Thomas was born in Munich, in 1961. His photojournalism for Geo, Stern, Merian, and other magazines have received numerous international prizes. His book New York Sleeps was awarded the Deutscher Fotobuchpreis in 2009. An extensive selection of his images from the famous Oberammergau Passion Play (also published as a book by Prestel) were recently on view in the Bavarian National Museum. Christopher Thomas: Venice in Solitude will be on view in conjunction with the exhibition Brett Weston from October 4 through November 3, 2012. Steven Kasher Gallery is located at 521 W. 23rd St., New York, NY 10011. Gallery hours are Tuesday through Saturday, 11am to 6pm. For more information or press requests please contact Christiona Owen at 212 966 3978 or christiona@stevenkasher.com.